A new fixed abrasive flat-honing technology has expanded the materials and tolerance capabilities of shop specializing in precision lapping. Using the Stahli DLM700, ProLap is able to produce parts with tolerances of ±0.00008″ (± 2μ) and 2 – 4 Ra surface finishes. A new honing machine from Stahli USA (Wauconda, IL) is allowing the company to do just that, and expand its materials processing capabilities. ProLap is equipped with state of the art lapping and free abrasive machining systems, which allows them to take on virtually any flat surfacing application. 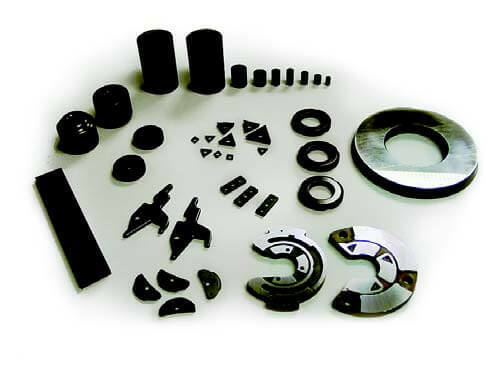 From single and double side lapping and polishing, capacities can include parts as small as 0.125″ in diameter up, to parts as large as 60″ in diameter, to parts as thin as 0.002″. The Stahli DLM700 is a double-sided flat-honing machine featuring a unique dual wheel design enabling both sides of flat pieces to be ground simultaneously with fixed abrasives. ProLap laps and hones a variety of parts and materials for a growing list of markets. In 2003 ProLap took delivery of a Stahli DLM 700. 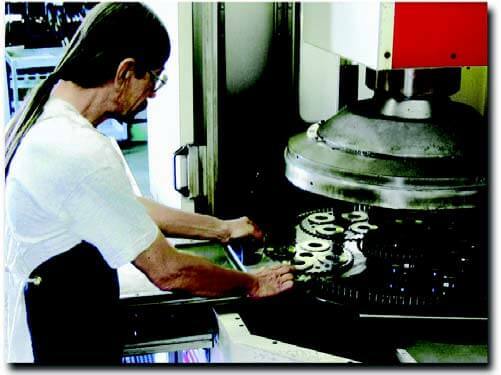 This model is a double-sided flat-honing machine that features a unique dual wheel design enabling both sides of flat pieces to be ground simultaneously. Unique to the Stahli flat honing process is that the same or greater precision can achieved with fixed abrasives compared to loose compound or slurry associated with conventional flat lapping. The Stahli DLM 700 operates using bonded CBN or diamond particle wheels. Herzig notes that the impact of the Stahli has been across several different fine grinding applications of varying materials and tolerances. One of the most dramatic process improvements realized by ProLap after the installation of the Stahli was with a hardened (65 Rc) steel blade they manufacture for a customer in the medical industry. One of our more difficult projects for ProLap is the grinding of the end faces of ceramic roller bearings. The length versus diameter of these parts is what makes them particularly difficult to process. These parts vary in dimension from 5mm x 10mm to 32mm x 52mm. In addition, stock removal required 0.030″ – 0.050″ (0.76 – 1.27mm) of material while holding an overall length tolerance of ±0.00008″ (± 2μ) and a surface finish of 8 Ra or better. When the project was started initially the parts were being ground and then lapped and polished in multiple operations. ProLap engineers determined that process time on this part could also be improved by running them on the DLM 700. In just a single set-up and operation, the DLM 700 has been able to meet this requirement and actually exceed some of the requirements. ProLap is experiencing a consistent surface finish of 4 Ra or better. Another grinding challenge Herzig mentions is maintaining consistent flatness in grinding ceramic inserts for several manufactures. The smallest of these inserts are approximately 0.200 sq.-in. and range up to approximately 3″ in diameter. Herzig notes that before sending these inserts to ProLap, many of their customers had been grinding these parts in-house with a traditional single-sided grinder that required machining one side, then the next. 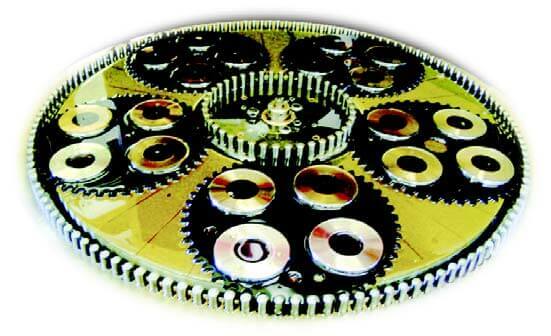 A time consuming process to begin with, often after the parts were inspected, these parts would need yet another operation to maintain parallelism and flatness. With the Stahli, ProLap is able to process both sides at once while holding ±0.0001″ and a 2 – 4 Ra surface finish.